Trees are beautiful. They are also complex. Some varieties are dormant during the winter, but even when they’re not actively growing, they still need to be cared for throughout each season. It may seem like trees don’t need much attention, but there are so many benefits from year-round tree services. We offer these tree services year-round because the healthiest trees are those that are cared for continuously. Although our weather is mostly temperate here in the Lake Norman area, low temperatures could cause trees to die if they are not adequately cared for. Overgrowth can also be an issue. Trees can cause problems with telephone wires, gutters, and growing too closely to your home. 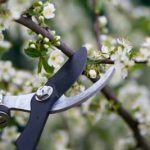 If you have your trees trimmed and pruned each year, they’ll continue to grow vibrantly without leading to other hazardous situations. Some benefits of year-round tree services include the ability to have a tree removed or restored when it is best to do so. We provide these services all year, so we can address problems right away. Although some issues can be put off, others need to be taken care of immediately to avoid additional expenses and frustration. Many tree services need to happen annually, so having a certain season for specific services helps you to properly maintain a schedule for caring for your trees.